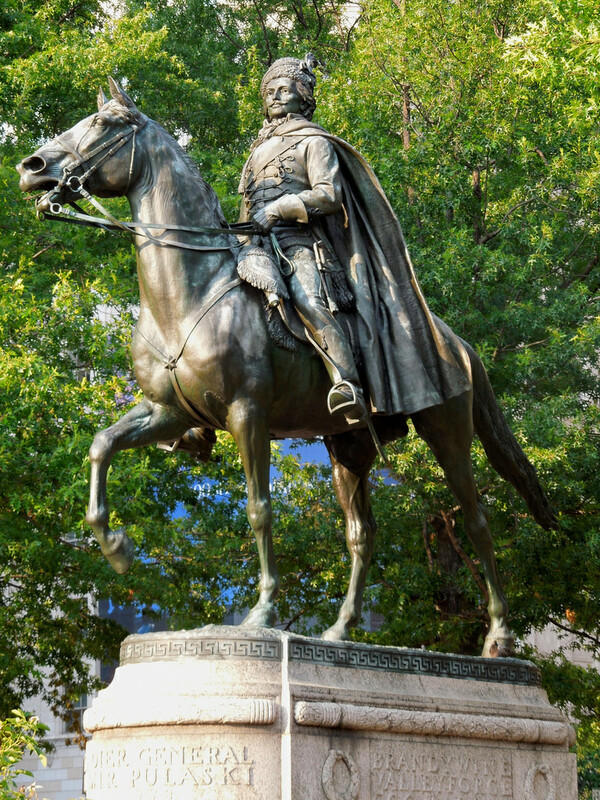 Statue of Casimir Pulaski in Washington D.C.; Indiana celebrates Casimir Pulaski Day on the first Monday in March. Photo by Robert Lyle Bolton/Flickr (Use Permitted with Attribution). CASIMIR PULASKI DAY is observed on the first Monday in March to commemorate Casimir Pulaski's "great contributions to the cause of the American Revolution." After meeting Benjamin Franklin in Paris, Casimir Pulaski volunteered his services to the American Colonies fight for independence. He joined and fought with George Washington in the Brandywine and Germantown battles. In 1778 he was given the command of the newly formed cavalry. Pulaski was mortally wounded in the 1779 battle in Savannah. He is called "the father of the American cavalry." GEORGE ROGERS CLARK DAY is observed on February 25 to commemorate his "great contributions to the cause of American Independence, which include conquering and securing the Northwest Territory, and establishing and promoting the first permanent American settlement in the Northwest Territory." NORTHWEST ORDINANCE DAY is observed on July 13 (the anniversary of the adoption of the Northwest Ordinance) to "commemorate this great document and its contributions to freedom and democracy."